Many garage doors fail to keep out rain, insects, dirt and debris, etc. One solution is to install a Garage Door Threshold Kit from Tsunami Seal. 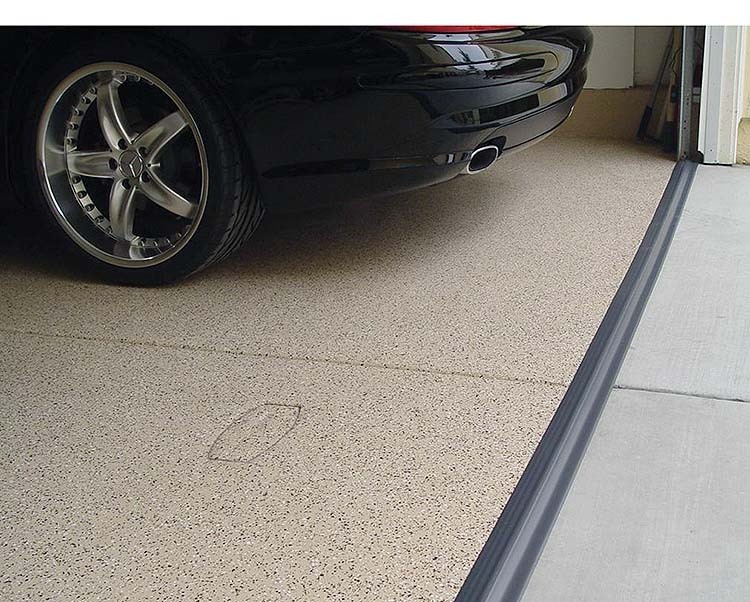 This PVC barrier attaches to the garage floor and compresses to form a tight seal whenever the door is closed. The product has also been designed to withstand years of use and can withstand extreme hot and cold. The Tsunami Seal is available in lengths from 10 feet to 50 feet and can be installed as is, or trimmed with a knife for a custom fit. Retail prices range from $50 to $250. Purchase from various online resellers or from any Home Depot store.